Everyone should have one of these, don't you think? Froggie Thoughts is a Freebie at Tiddly Inks, so, it'd be rude not to make him yours, right? And you know how much I love a seamless link... Talking of Tiddly Inks, we have a new Challenge... Creature Feature. And. There are new images in Store. Now. Oh. Bye. You've gone! Toadally awesome! Sorry, couldn't resist! Now I must "hop to it" and go do some colouring.....erm, I mean housework! 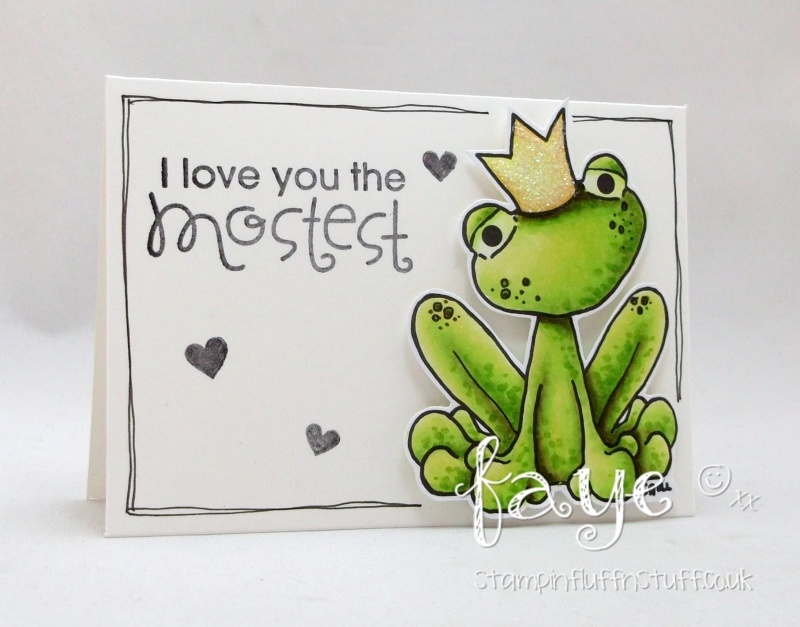 Gorgeous Card with a supercute digi and a fun sentiment ! Hahaha, Jane said what I was going to say "Toadilly" gorgeous. Love the froggie and I love that sentiment too. Beautiful colouring hun, but I expect no less. Fabulous! 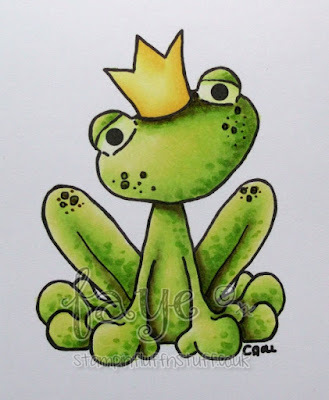 I love this frog so I had to go snag him and then spend some money on some other images I liked. So awesome! Wonderful colouring too.